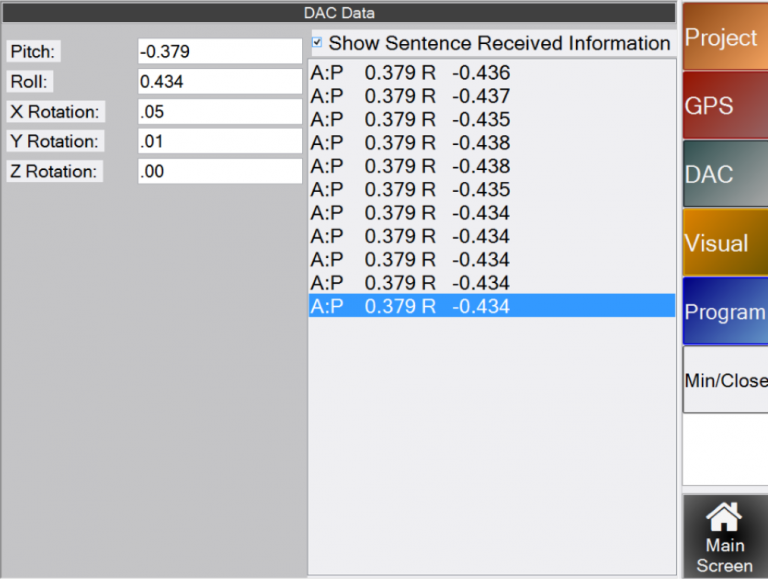 There are 2 ways you can check the data being received by the DAC from attached sensors. In DACCFG open the terminal screen and any data being sent to the computer will be shown. From within SD Drain go to Settings -> DAC ->DAC Data.